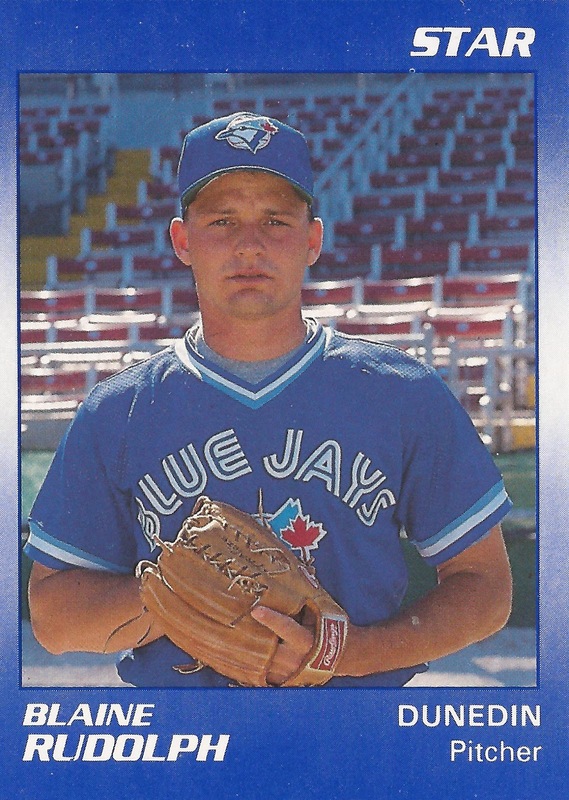 The Dunedin Blue Jays already up big in this July 1990 game, relief pitcher Blaine Rudolph came on to close it out, according to The Sarasota Herald-Tribune. Rudolph pitched two innings in that effort, giving up two hits and a run in the Dunedin 11-1 victory over Sarasota, The Herald-Tribune wrote. Rudolph finished out that game in his fourth season as a pro. It also marked his last. He made it to high-A, but never made it higher. Rudolph's career began in 1987, taken by the Tigers in the ninth round of the draft out of Fresno City College in California. He played his high school ball at McLane High in Fresno. Rudolph started with the Tigers at rookie Bristol. He went 0-5, with a 5.40 ERA over 10 outings, six starts. He returned to Bristol for 1988, getting into 17 games, five starts. He went 4-1, with a 2.11 ERA. He moved to single-A Fayetteville for 1989. In 40 outings, five starts, he went 2-3 with five saves. He also turned in a 4.97 ERA. He picked up one of those saves in a June game. Rudolph arrived with the Blue Jays for 1990. At high-A Dunedin, he went 1.1 in a July game while giving up a single hit. He then gave up two earned in an inning of work in another July game. Overall, Rudolph went 3-0, with a 3.11 ERA, with four saves to end his career.